Modeling Inelastic Behaviour of Biological Soft Tissues: Ligaments, Muscles, Cornea, …. Antonio Agudo Martínez. Bayesian Sequential Non-Rigid Structure From Motion. Co-advisor: José María Martínez Montiel. May, 2015. 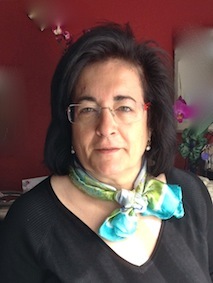 Raquel Simón Allué. Towards the in vivo mechanical characterization of abdominal wall in an animal model. Application to the mesh hernia repair. Co-advisor: José María Martínez Montiel, December, 2016. Marta Sierra. Skeletal muscle fatigue, a mechanical characterization approach. Development of animal and computational models. Co-advisors: Javier Miana Mena y Jorge Grasa. 31/03/2017. Ángel L. Ortillés Gonzalo. Corneal Collagen Crosslinking: Development of New In Vivo Methods for the Mechanical Characterization and Assessment as Treatment of Acanthamoeba Keratitis. Co- Advisor: José Ángel Cristóbal Bescós. 23/05/2017.